Yahoo is no longer Firefox's default search engine but Mozilla still wants to be paid. Mozilla has decided to drop Yahoo as the default search engine for its Firefox browser in favour of Google and now both companies have filed lawsuits against each other. Deals between the software companies that develop web browsers and search engine providers can be quite lucrative and these agreements have earned Mozilla as much as $300 million a year or 90 per cent of its income. This is why the current dispute between Mozilla and Yahoo has led to legal action on both ends. In 2014, Mozilla and Yahoo came to an agreement that would see Yahoo serve as the default search engine in Firefox for the next five years till the end of 2019. However, Mozilla decided to terminate the agreement two years early and chose Google as its new search provider. 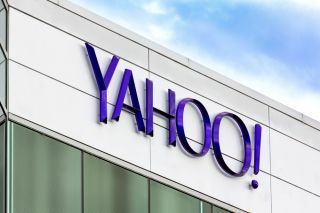 This led Yahoo's parent company, Oath to file a complaint in which it alleged that the software company had hurt the search engine's business by terminating the agreement early. Mozilla on the other hand claims that it had the right to end the agreement due to a clause in the contract which stipulates that Yahoo must continue to make payments to Mozilla until the end date even if it is no longer default search engine in Firefox. This unusual clause was added to the deal struck by former Yahoo CEO Marissa Mayer as a means of luring Mozilla away from Google. At the time, she likely thought that the probability of Firefox changing its search provider was extremely low and thus she added the clause to sweeten the deal. Mozilla believes that Yahoo should continue to make payments even though it is no longer Firefox's default search engine while Yahoo thinks it shouldn't because Mozilla is not being fair. The case between the two companies is just beginning and we will no doubt hear more at a later date.